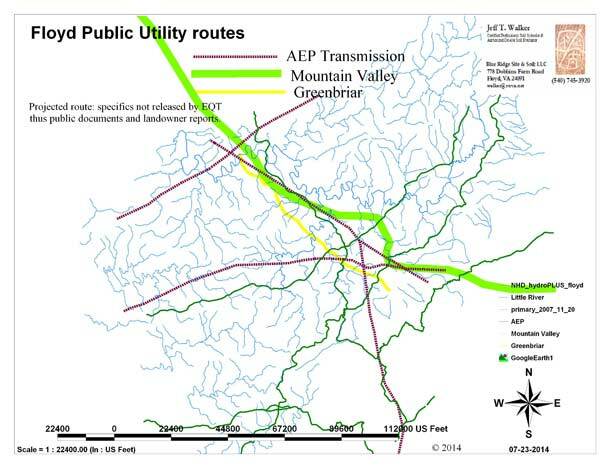 How does the newly-supported Atlantic Coast Pipeline venture change the game, if at all, with regard to Mt Valley? Can ACP provide markets once envisioned for MVP, and therefore make MVP unnecessary? 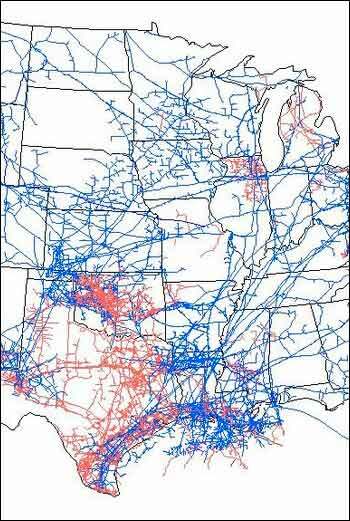 And here’s a thought, no extra charge, for those who would make life miserable for as many Americans as possible: there will be places where two or more large pipelines necessarily cross paths. Like, maybe, Houston. What a mess of pickup sticks! What terror and damage it would make to detonate just such a junction near a large urban area. Here’s the latest map depicting a possible route being considered. It is based on reports from landowners that have been contacted. Many thanks to our local Floyd County government for their assistance in creating this important resource. It was shocking and sobering for many folks last night to see where their land lies in relation to the land that is being explored. 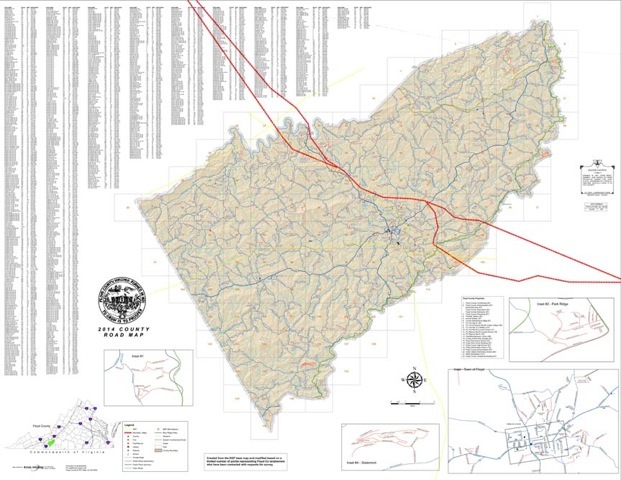 Based on new information including map points from Floyd County landowners who have been contacted by requests for easement surveys, this new map provides more current information about specific county farmland, streams, roadways, forests, churches, businesses and home places potentially impacted by the construction of this inter-state natural gas pipeline. More specific details about particular communities along this updated path will be available soon. Click this link for a larger view.